The media loves an ugly divorce. You rarely hear about the 95% of divorce cases that settle out of court or resolve through mediation or the collaborative divorce process. Instead, most people focus on the remaining 5% of cases that involve a full-blown court trial and possibly nasty allegations. Based on what you’ve read or heard, you may assume adultery is the leading cause of divorce. But most divorcing spouses actually cite “irreconcilable differences,” which is just is a fancy way of saying that a couple can’t get along anymore, and there’s no reasonable chance of getting back together. “Irreconcilable differences” (also referred to as “irremediable breakdown”) is the only ground available for a “no-fault” divorce – that is, a blameless divorce, one where neither spouse claims that the other’s misconduct (such as adultery) caused the split. Not surprisingly, no-fault divorces tend to be cheaper, less contentious and less emotionally draining for the parties and their children, which probably accounts for much of their popularity. 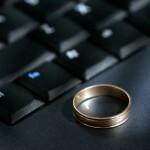 See the Divorce Basics section on DivorceNet.com to learn more about the grounds for divorce in your state. Some states still allow “fault” divorces, which are based on marital misconduct, such as adultery, addiction or abandonment. In most cases, fault doesn’t actually play much of a role in the divorce proceeding itself. But in some states, adultery may affect a judge’s decisions about alimony and/or property division, particularly where the cheating spouse wasted marital funds on an affair (for example, buying gifts or paying for vacations). In these cases, a judge can order the cheating spouse to pay more spousal support or reimburse the “innocent” one for wasted funds. To learn more about what role adultery may play in a divorce in your state, see the Adultery and Divorce section on DivorceNet.com. Although adultery doesn’t typically play a major role in the legal outcomes of most divorces in the U.S., it makes for flashy headlines. Consider all the media attention the website www.AshleyMadison.com has garnered lately. AshleyMadison (tagline: “Life is Short. Have an Affair.”) is a dating site for married people. The company describes itself as “the most famous name in infidelity and married dating” with over 23,010,000 members. Obviously, these rankings aren’t really reliable since the information is based strictly on AshleyMadison’s membership and doesn’t capture the percentage of cheaters who find partners the “old-fashioned” ways, but Huffpo thought it was newsworthy and had no issue relying on AshleyMadison as a source. Aside from reports about a recent alienation of affection lawsuit filed against AshleyMadison, I wasn’t able to find much negative press about the company. It’s interesting to consider what the website’s popularity among members and the media means. Have we become more accustomed to (and accepting of) adultery? Huffpo reports (from sources Gallup and USA Today) that 54% of Americans say they know someone who has an unfaithful spouse, and 37% of currently married adults say they would not get divorced if their spouse had an affair. Does the nationwide shift to no-fault divorce also reflect today’s attitudes about adultery? Much of the shift is due to states’ desires to avoid wasting limited court resources on largely irrelevant issues, like whether one spouse cheated. But it may also reflect the fact that fewer divorcing spouses want to publicly hash out the details of what went wrong in their marriage and pay hefty attorneys’ fees proving or negating something like an affair. Whatever the reason, overall, it seems the no-fault model for divorce is proving to be the best option for those involved. Go to www.divorcenet.com for more information on family law and divorce. This blog is written by Lina Guillen. Specializing in family law, Lina writes and edits articles on a variety of topics including custody, visitation, support, and the financial aspects of divorce. 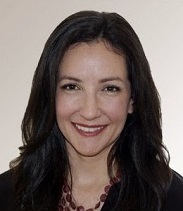 Before arriving at Nolo, Lina practiced family law and civil litigation at several law firms in the San Francisco Bay Area. Lina received her J.D. from the University of California, Hastings College of the Law and is an active member of the California State Bar. This blog was started by Emily Doskow, a practicing family law attorney and mediator. Emily was a Nolo editor, and author of Nolo’s Essential Guide to Divorce and co-author of several Nolo books, including A Legal Guide for Lesbian and Gay Couples and Do Your Own California Adoption: Nolo’s Guide for Stepparents and Domestic Partners. Divorce and Family Law - Check out Nolo's Divorce & Family Law area for articles and Q&A's on a variety of family law topics. Divorce Information - Find a wealth of information on divorce, child custody, property division and more at DivorceNet, Nolo's family law specific website.